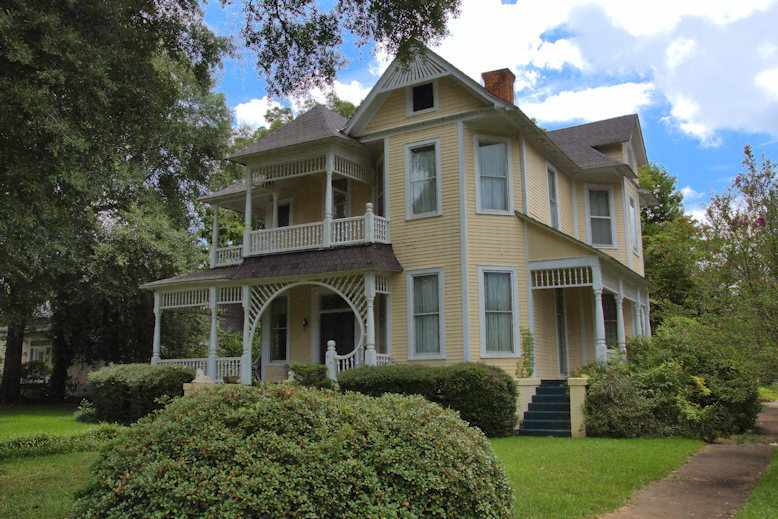 Built as a grocery store in 1899 by Joseph H. Dismuke, this structure also served his family as a residence. 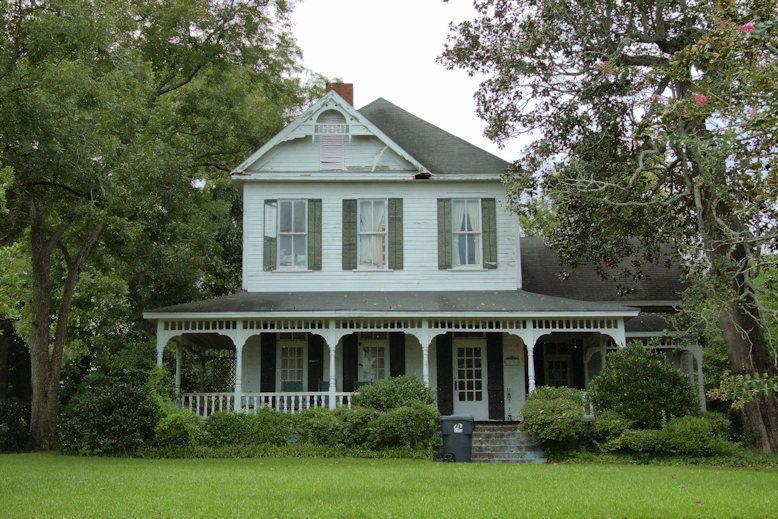 Dismuke was the nephew of Elbert Head, a well-to-do black farmer and philanthropist, from whom he initially acquired the property. 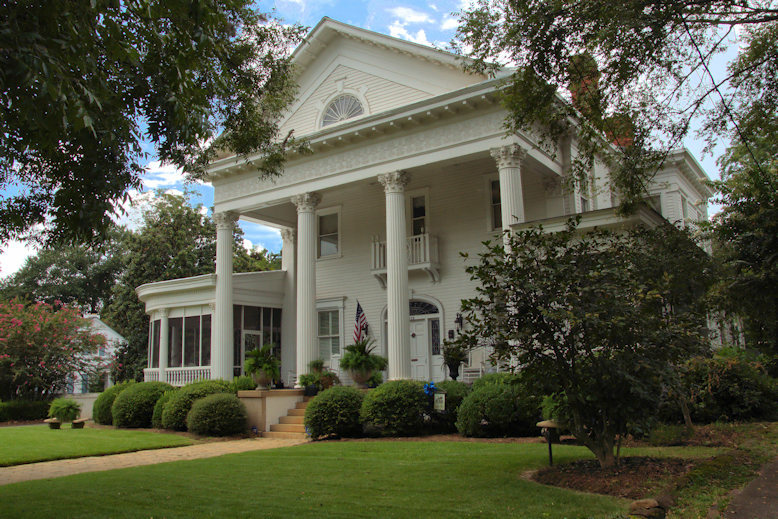 It was sold to Janice Coleman in 1919 and briefly owned by W. C. Flatt before being purchased in 1922 by John Minyard, who added a cafe. The cafe was so popular, especially on weekends and special occasions when it sold alcohol, that the neighborhood came to be known as”Minyard’s Bottom”. The Minyards got out of the business by the 1950s and Earnest Wilson, then his son Clyde, ran a barbershop here until Clyde’s illness in 1978. These memories come from Karl Wilson’s (Clyde’s son) “History of the Storehouse”, written in 1985. [The storehouse was originally located about 20 feet closer to the corner of the lot but was moved during infrastructural modifications in the neighborhood in 1987]. 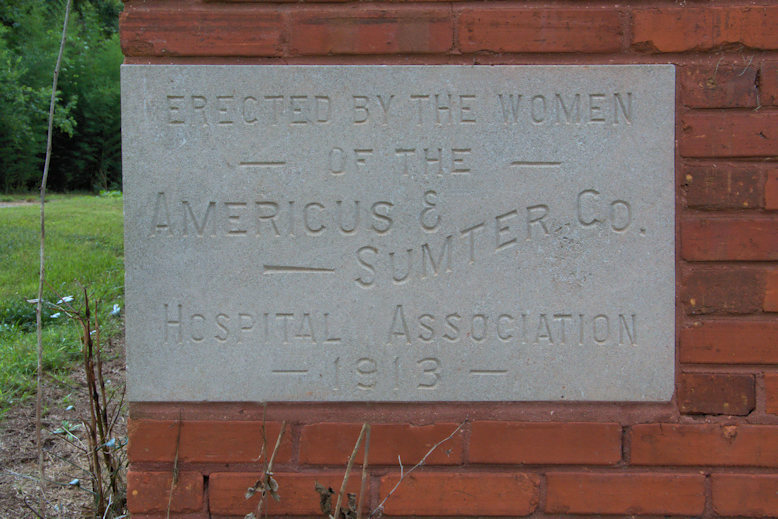 A group of local women established the Americus & Sumter County Hospital Association in 1908 and after raising funds and community interest in a modern medical facility, they dedicated the Sumter County Hospital in 1913. Initially a 27-bed facility, it doubled in size after the addition of an annex in 1932. 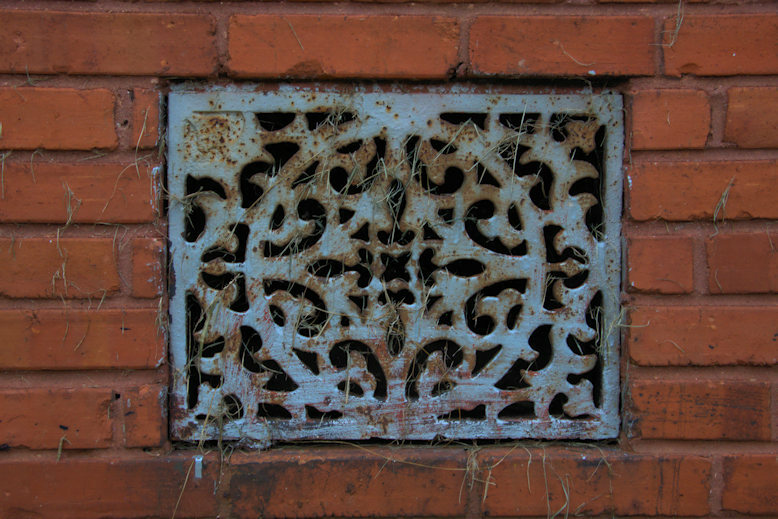 It was in use until a new hospital opened north of town in 1952. This Prairie style landmark has been abandoned for over 60 years and is presently on the market. 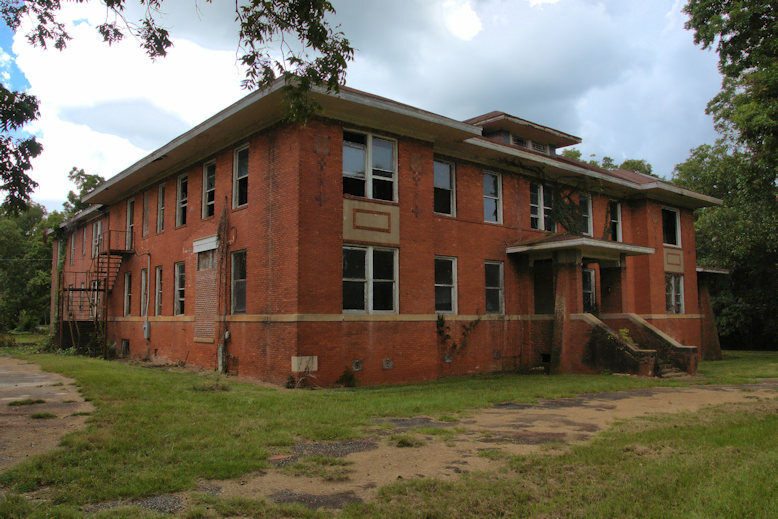 The Furlow Female College originally stood on this site and after being closed was used as the first public school in Americus, beginning in 1880. It was replaced by this structure, known as the Furlow Grammar School, in 1914. My friend Joan Holloway shared this treasure and if I understand her correctly, this photograph is Mrs. Glenn’s First Grade class, dressed for what Joan called “Tacky Day”. She notes she was the girl standing in the front row, with white gloves. Joan notes: I attended first and second grades at Furlow. I started after my sister was born in Savannah in October 1944. Mrs. Glenn was my teacher. 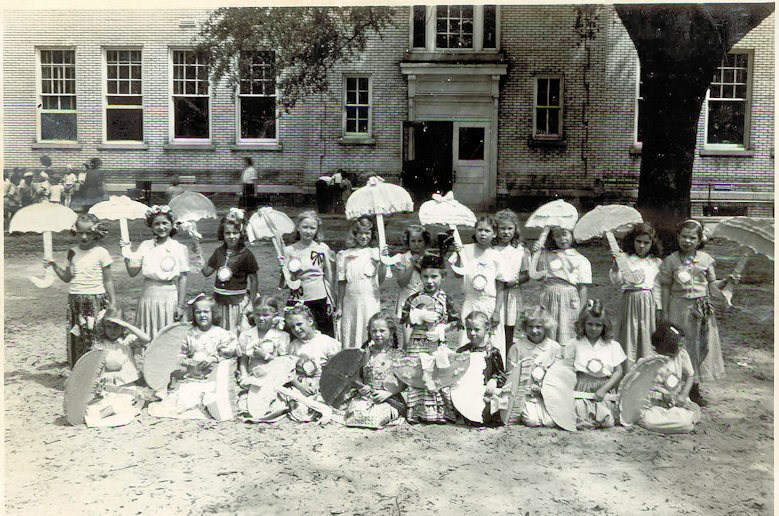 Then the next year 1944-45 I was in Miss Klebe Kemp’s second grade. The summer of 1945 we moved back to Savannah. Note all the open windows-air conditioning wasn’t known back then.. I actually attended 38th Street School here in Savannah until mom and baby could safely ride the train home. 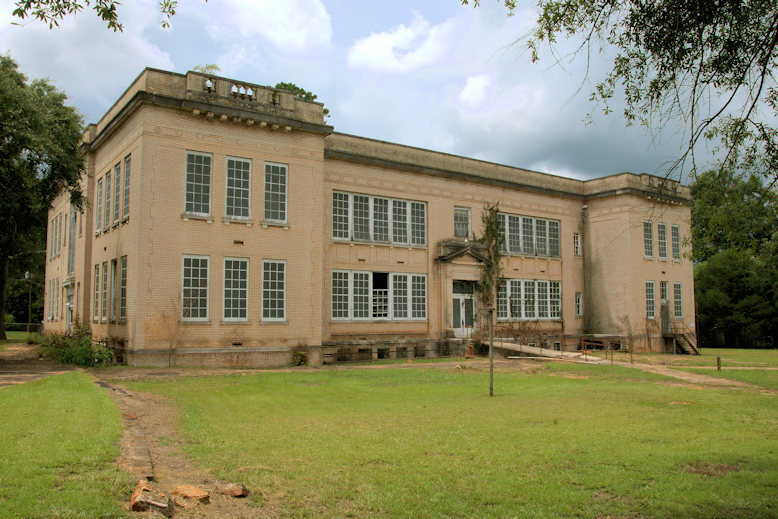 Furlow School then let me transfer in when we returned to Americus. 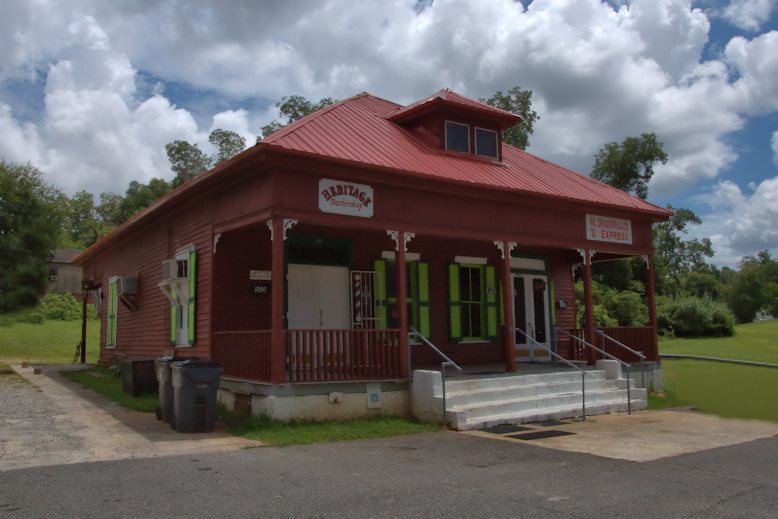 Americus was a great little town. I have lots of fond memories of living there. We first lived at 201 East Hill Street. My favorite thing to do there was walk barefoot in the soft red clay after a summer rain. It would be so much fun to feel soft, cool clay squishing up between my toes again! The following day my brother and I would stand in our then hardened footprints. 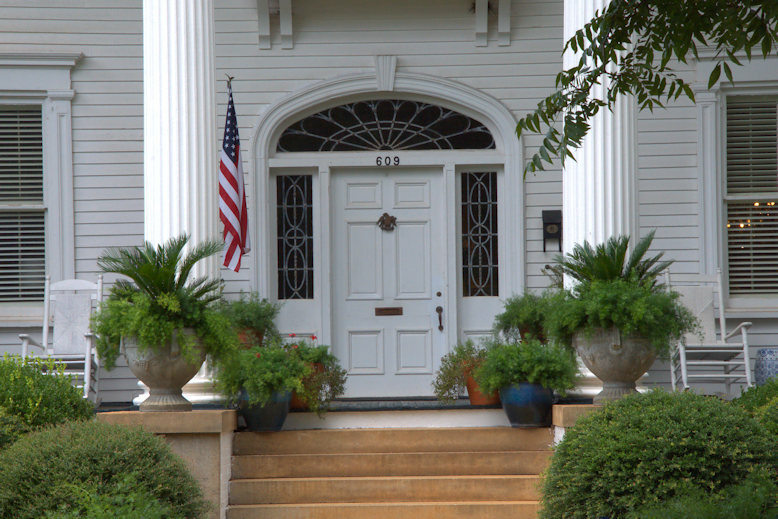 This is one of the grandest homes built in Americus in the first decade of the 20th century. 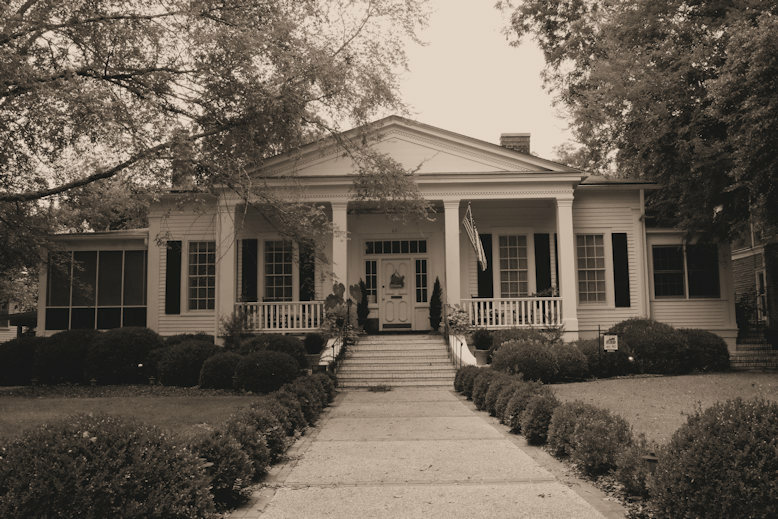 This is one of the oldest houses in Americus. I will update its history when I learn more.